Buone e cattive notizie per chi utilizza DraftSight su Linux. Il team di sviluppo ha infatti annunciato che a partire da DraftSight V1R6.0 (il cui rilascio è previsto per il mese di Ottobre 2014) il programma supporterà nativamente i sistemi operativi Linux a 64 bit. Questa notizia farà di certo la felicità di quanti si sono ritrovati a combattere con i problemi di dipendenze che sorgono sulla maggior parte delle distro ogni qual volta si va ad installare la versione a 32 bit. La cattiva notizia è però che contemporaneamente al rilascio della versione a 64 bit verrà interrotto lo sviluppo della versione a 32 bit. Chi come me non ha potuto (o voluto in alcuni casi) installare distribuzioni a 64 bit si troverà dunque costretto a conservarsi l'installer dell'ultima release stabile a 32bit e ad usarla sino alla sua scadenza. 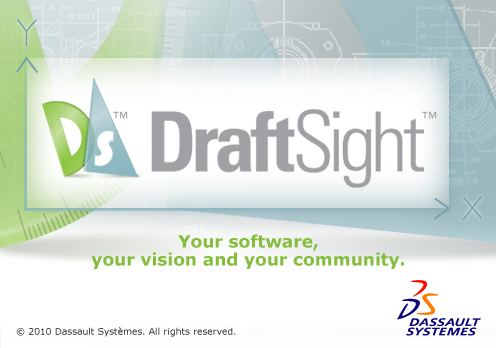 In case you missed it in the last DraftSight Newsletter, the upcoming DraftSight Release (V1R6.0 - targeted for October) will have a 64bit version. This was the number one requested enhancement from Linux users, and we are happy to announce that support for 64bit platforms will start with the upcoming release. Please note that in order to accommodate this request, we will no longer provide support for the 32bit version, so with this in mind, plan accordingly! Due to the stage of development of the Linux version (Beta), following the development process used until now for the Beta versions in the different platforms, the 32bit version will be dropped, and will expire (meaning that at some point you will no longer be able to run this version). Again, this will happen only with the new release, targeted for October.